It’s Part of Growing up – but Is It Too Soon? So, the time has come. You finally feel your child is ready to stay home alone. Whether it’s for a short time after school until you get home, or for longer periods of time, there are many factors that go into deciding if your child is ready. Talking to them about the responsibilities of being home alone well in advance and doing mini trial runs are important to decide if they are ready for the responsibility. Starting small by having them stay home alone for 15 or 20 minutes and gradually increasing the time alone is a good start. You may find they are excited for the responsibility, but once actually home alone, they may be scared or worried. It is a big responsibility and shouldn’t be taken lightly. Moving forward at a pace that’s comfortable for everyone is the best way to transition into a daycare-free life. Some kids are ready sooner than others. You may have a very mature 10 year old or a very immature 13 year old. Trusting them to take care of themselves means you both have to be ready. Start by letting them walk home from school alone. Then give them a key to the house or teach them the code to get in the garage. Installing home alarm systems you can access with your smartphone is a way to keep tabs on when they have arrived home. Teaching them how to use the alarm system in case of an emergency is also a critical step. Making them comfortable with it can help them feel more comfortable by themselves, especially if it can be activated when they are safely inside the house so it will sound if an intruder tried to get in. Depending on the age of your child, getting them a cell phone with a tracking app can also help you feel comfortable knowing their whereabouts while out of your care. Having the safety rules listed on the fridge or the family bulletin board is important so they know what to do in case of a power outage, injury or emergency. A list of emergency phone numbers, both on the fridge and programmed into their phones, as well as fire exits and poison control phone number are all a good start to your safety protocol. Running through practice scenarios and role playing is a great way to help your child understand the responsibility of staying home, and will prepare them for an emergency if one occurs. Where you live is also a deciding factor on when you feel comfortable leaving your child home alone. If you are in a busy urban area or an isolated rural one, you may feel more uncomfortable than if you live in a suburb with many other families around who your child knows. Asking neighbors to keep an eye out for your child when they arrive home is an added layer of security. And having your child comfortable enough with the neighbors to go over and ask for help if they have a problem is important as well. Setting the ground rules as to what is acceptable and unacceptable when they are alone is important to make sure your child is well-behaved and safe when they’re alone. 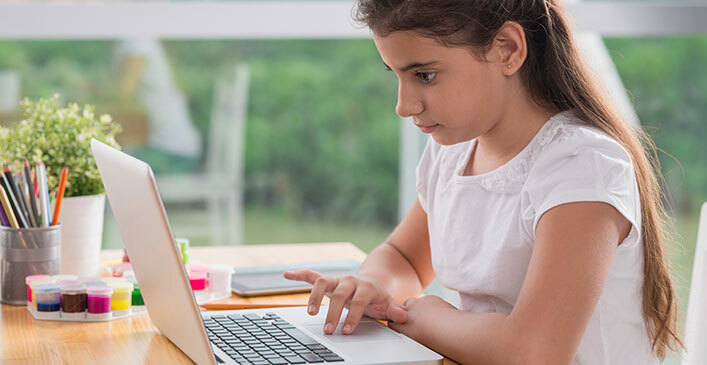 Setting a time limit on screen time, asking to have homework started, or emptying their lunch boxes can be some of the things to include on your list. Also, have your child check in with you on a regular basis until you get home. One of the best ways to make sure they are behaving while alone is to periodically FaceTime or Skype with them. If you have multiple children, you need to decide if your oldest child is mature enough to care for younger siblings as well. This will require more preparation before you start leaving them home alone for any period of time. To start, have them watch over their younger siblings while you do house work to give you an inside scoop as to how they will do. Letting your older child break up arguments, fix a snack, and entertain the younger children will help you determine if they are ready to be home alone or not. No two children will be ready to stay home alone at the same time. You know your child best, and know what amazing things they are capable of. Starting slow and working up to time alone is a wonderful step in their maturity. Plus, the money you’ll save from after-school care is a huge bonus.